On July 4th 2018, global business community ZENMONDO held a special launching event. For our very first event, we invited special guests to share their thoughts on the theme “Innovation as a Bridge Between and among Japan, the Middle East & Africa”. We also played a business training game to bring each other’s expertise and to simulate creating businesses in Africa. In this article, we would like to share an overview of the event. Please click the link below for Japanese. Access our Youtube channel to see digest and full length videos of the event. The event started off with ZENMONDO representative Mina Arai-Ito’s greeting speech. 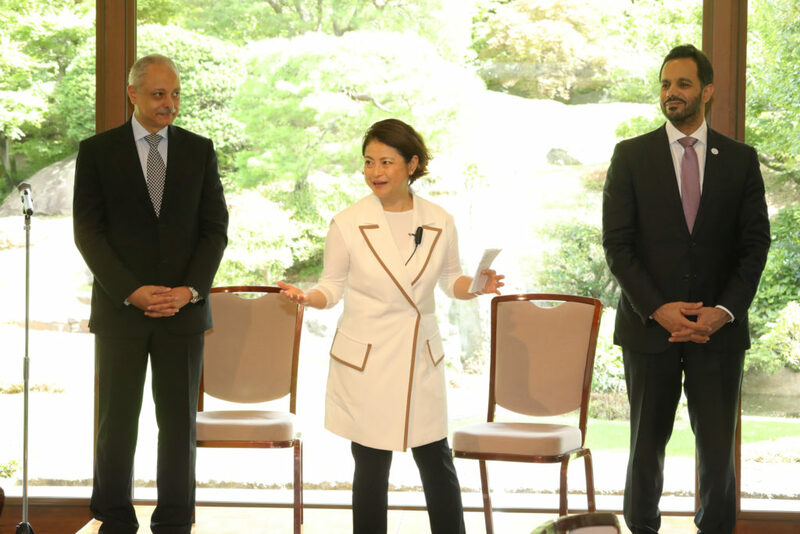 First, Mina introduced how she came to focus her practice in the Middle-East and Africa, how she has always encouraged Japanese companies’ investment into this region. 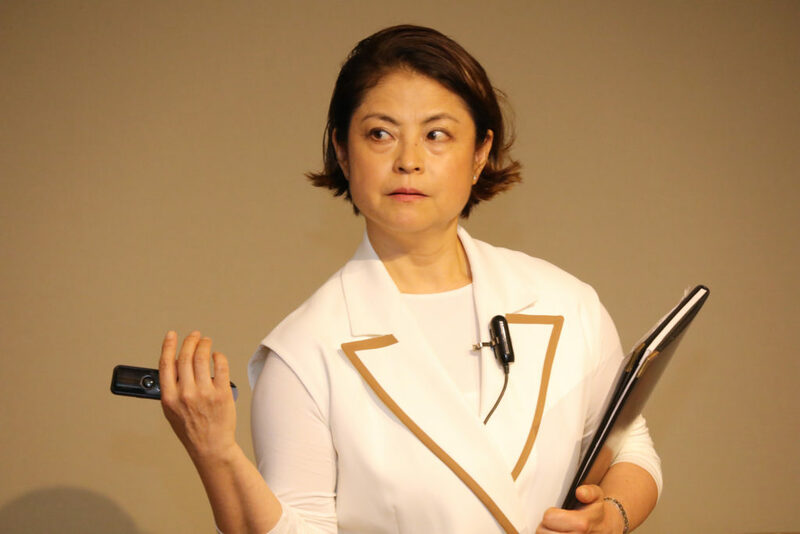 She then explained the current environment surrounding the businesses between Japan and the Middle-East and Africa, and why she decided to establish ZENMONDO. (1)After facing Western civilization with advanced technologies, resource-poor Japan started investing in education and endeavored to build an industrial state. (2)In the Middle-East and Africa, there are countries that show respect for what Japan has done. They are investing in education and believe in that their countries’ long-term development and prosperity lies in diversification of industries. (3) In Japan where it stands at the dawn of the next revolution, in order for it to keep a leading role in the world, Japanese companies ought to address people’s needs that value “intelligence” over “things,” and “mental and spiritual satisfaction” over “material wealth.” We need to let the world know the true “value” that Japan can deliver. (4)In the value shift, there are more social issues out in the society that an individual or a single company by themselves cannot solve, and by being a member to the Community, and through the ecosystem, we should be able to produce a new value in the next generation. (5) By being a member to the Community, those who share the same value and mission, whether among Japanese companies or with the Middle-Eastern and African individuals or companies, can form up a partnership and shape the future together. Mina gave a powerful speech addressing these issues for 20 minutes. 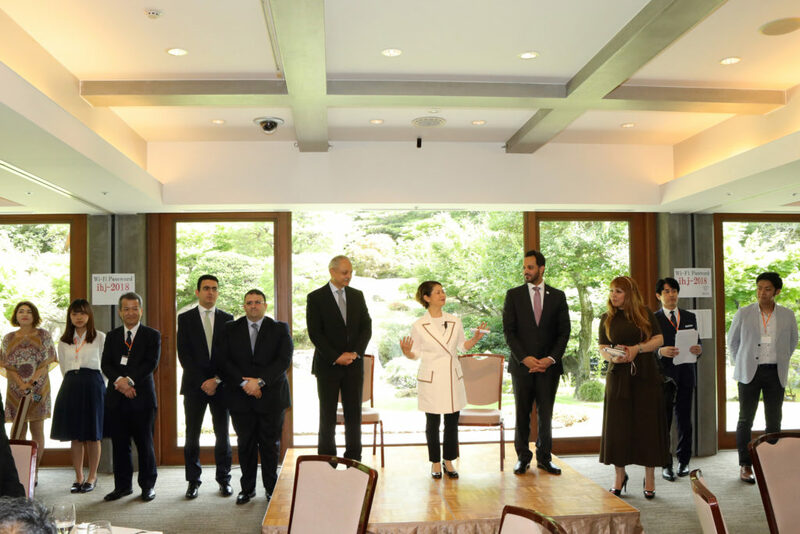 ZENMONDO Representative Community Members, His Excellency Mr. Khaled Omran Alameri (Ambassador of the United Arab Emirates to Japan), and His Excellency Mr. Ayman Aly Kamel (Ambassador of the Arab Republic of Egypt to Japan) gave a greeting speech. Ambassador Alameri mentioned how the UAE is trying to break away from business relying on natural resources, and is shifting to innovative projects. Also, Japanese Prime Minister Shinzo Abe visited the UAE this April to make a comprehensive agreement that is the opening of a new age and relationship. He also suggested the possibility of developing businesses among multi-nations such as, Japan, the UAE, Egypt and Saudi Arabia. However, Ambassador Alameri pointed out that we must overcome the fact that there is lack of business information in these areas and that is causing the risk sensitive attitude towards investment in these areas. We must each understand the difference in business styles and cultures. 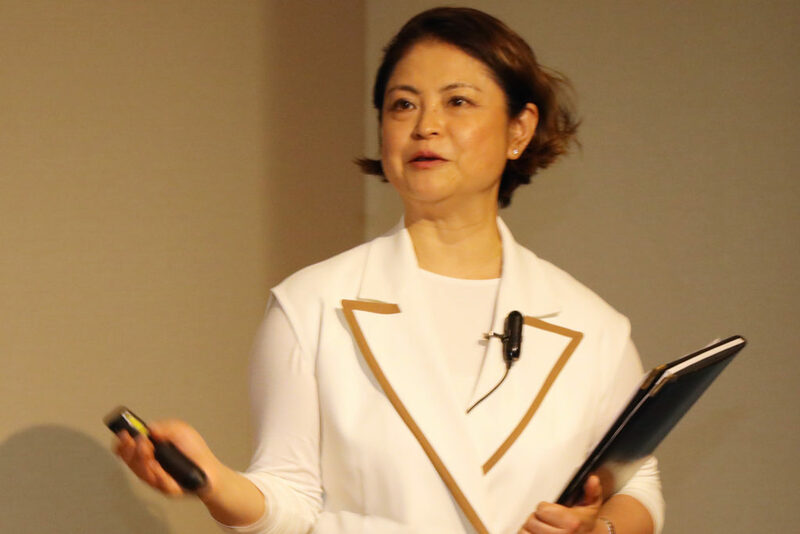 In order for Japanese businesses to have the understanding of the UAE being a great potential rather than being a risk, the Ambassador hopes people to utilize ZENMONDO platform as well the UAE Embassy as a contact channel. Finally, Ambassador picked a few industries that he personally thinks will be growing in the years to come and sent a strong message to the distinguished guests from various fields for partnership. 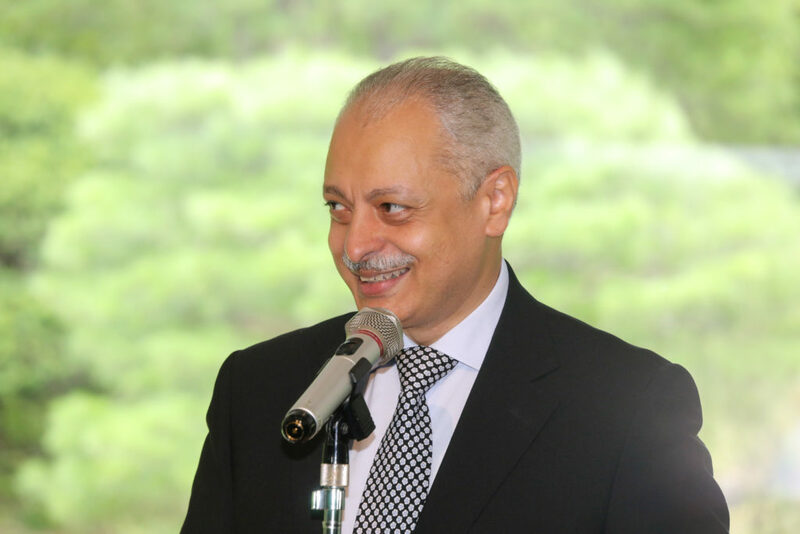 Ambassador Kamel mentioned how happy he was to be able to join the very first event of ZENMONDO with the other members, and how he would like to support the advancement of Japanese companies in the Middle East and Africa. Egypt has recently shifted to floating exchange rate by the support of IMF, which lead to improvement in foreign currency exchange reserve. Also, Egypt introduced value added tax which improved Egypt’s economic deficit balance. According to Ambassador Kamel, Egypt does not have first world problems such as aging society or limited economic growth, which is a definite advantage for Egypt to earn high economic growth and demand. The two ambassadors both mentioned how they will commit as a ZENMONDO member, and support its activity. 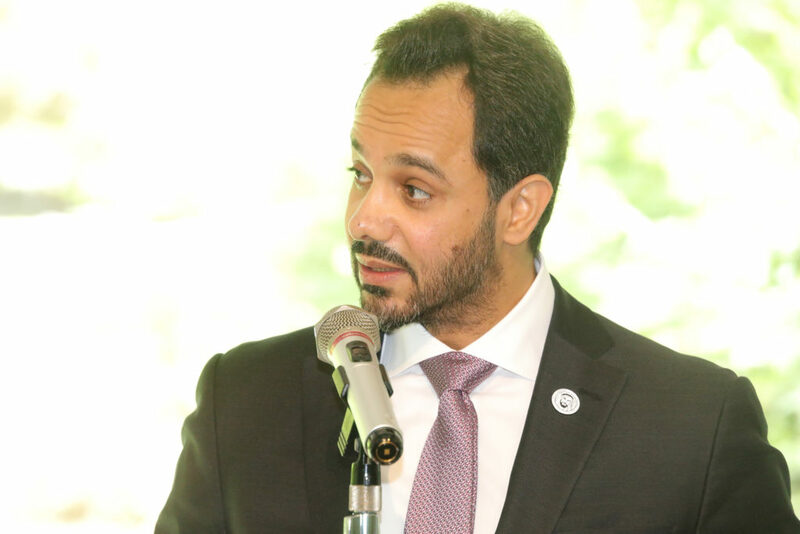 The embassy of the UAE and Egypt will also support ZENMONDO’s initiative in order to sustain its activity, by inviting ZENMONDO’s community members to special events held by the embassies. 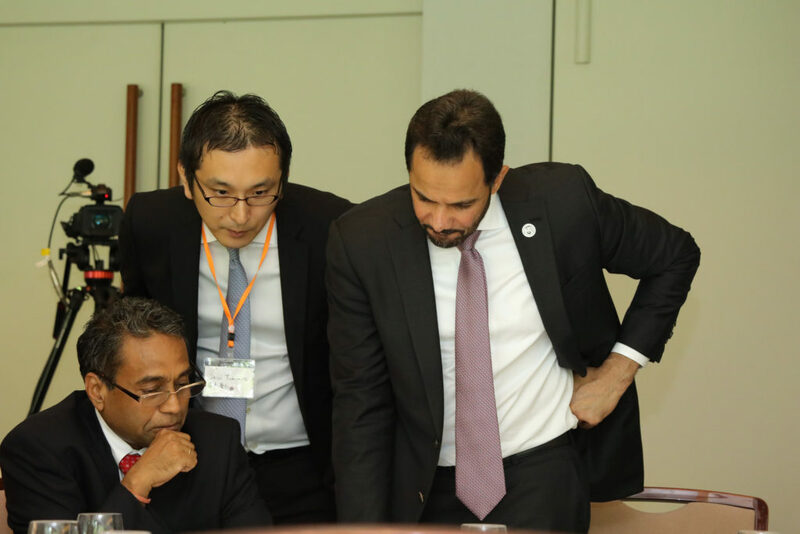 The two ambassadors expressed how they are hoping for Japan to lead the business relationship between Africa and the Middle East, and shared their plans to push forward business and innovation between these countries. 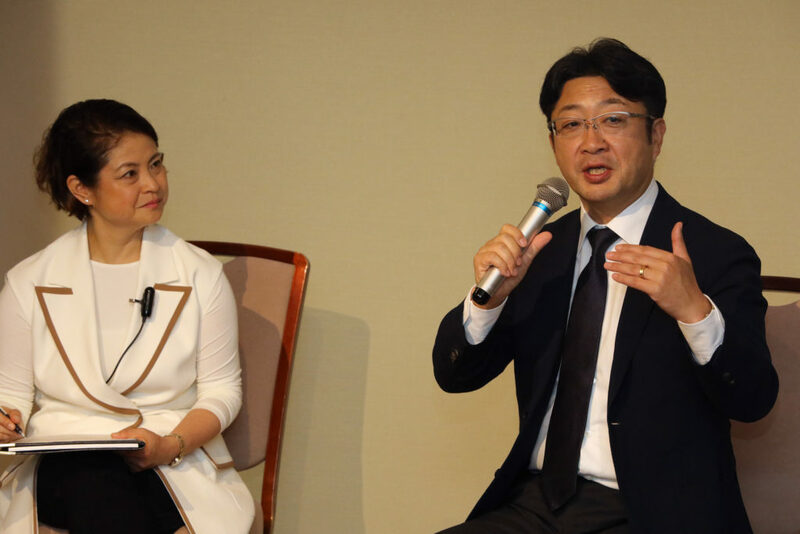 Softbank Energy managing director and CEO, Shigeki Miwa and Mina discussed on the theme “From Oil to Sunlight, Energy Conversion for Saudi Arabia’s Growth Strategy”. (2) Softbank is trying to be more “Green”, as natural energy resources are redefining all industries. He also added that these Softbank’s ideas in energy businesses also match with Saudi Arabia’s national policies. The audience were thrilled to hear Mr. Miwa’s announcement that Softbank energy has just closed a solar energy generation deal in Africa. Mr. Miwa’s smooth narrative caught the audience’s hearts, and everybody seemed to be amused by Softbank’s future vision. 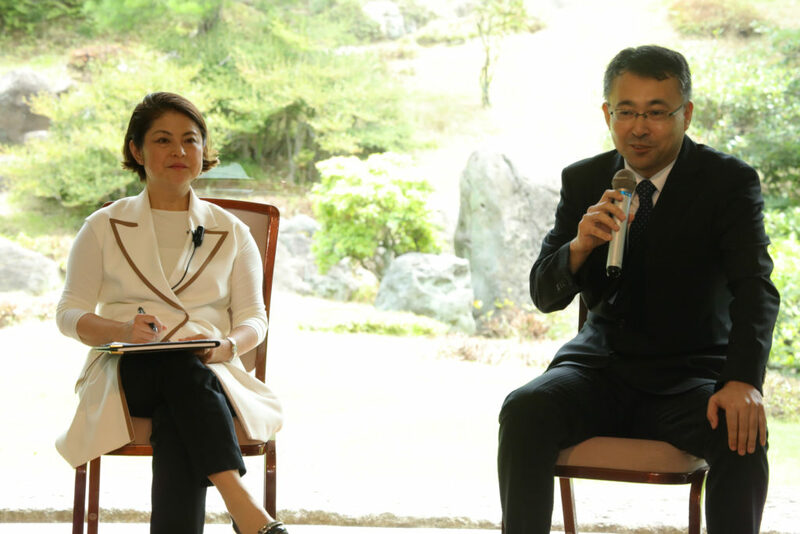 Takasei Okano, former Japan International Cooperation Agency (JICA) specialist and Mina had a discussion on the theme “The first Japanese style University in the Middle East and Africa – Egypt-Japan University of Science and Technology (E-JUST) ‘s brave challenge”. 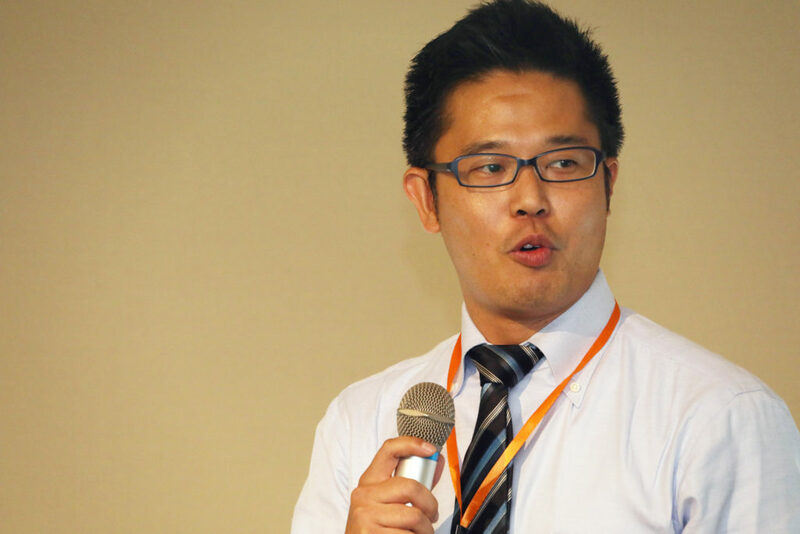 Mr. Okano explained why they established a university in Egypt, the features of E-JUST, the difficulties in establishing E-JUST and the current standpoint of E-JUST. According to Mr. Okano, as Egypt and Japan are both countries known for manufacture, there was demand from Egypt to introduce Japan’s education system. After 10 years from the establishment of E-JUST, many graduates have the desire to work in Japan. Many E-JUST graduates have interned in Japanese companies, and there were requests for the E-JUST graduates to stay in Japan to work as employees. His speech was very enthusiastic, and the audience were amused by the liveliness of his narrative. “The Fog Engineers” H.Ikeuchi & Co.,LTD, Agro Division Assistant Manager Shogo Yamaguchi and Mina had a discussion on the theme “Hydrating lifeless deserts with the Japanese Fog Technology”. Mr. Yamaguchi shared his story on how Ikeuchi’s technology was adapted in a unique way in order to improve agriculture in the UAE. The audience seemed to be inspired by Mr. Yamaguchi’s story, and must have thought that anything is possible, and it is only a matter of will. 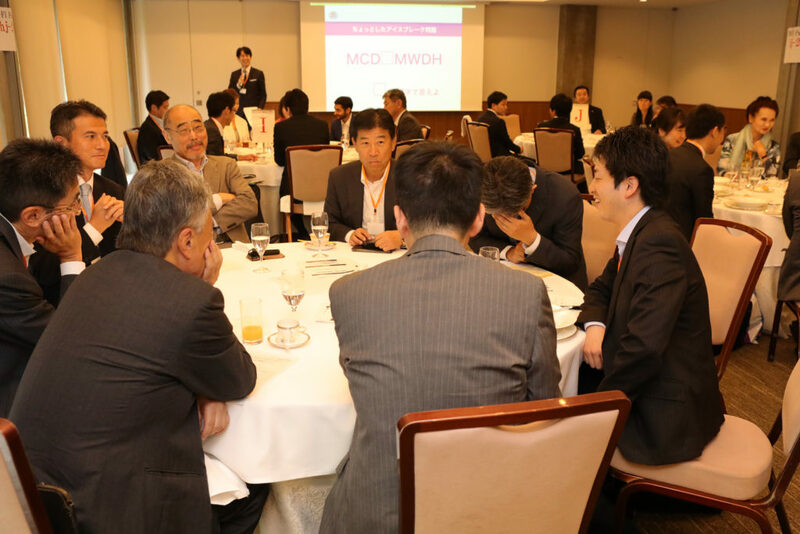 Mr. Yamaguchi emphasized that wide network will always support you when you encounter a problem, and it is essential to keep your antennas wide open to create relationships. Event participants also joined to play a simple ice breaking game in order to understand the activities of ZENMONDO. In this game, the participants formed groups and brainstormed a new business enterprise according to the facts that were presented to them. Interaction with people who have different business backgrounds seemed to inspire the participants, and the debate heated up more than expected. Ambassador Alameri and Kamel both went around tables to support and advise the teams which even heated the discussions more. We would like to introduce some of the feedback from the participants of our very first event. To close the event, the speakers and staff had a closing speech, and once again shared their thoughts on the activities ZENMONDO will take part in.